Hi! I'm Jamie from Not So Wimpy Teacher. I am a third grade teacher, wife, mother of four, blogger and curriculum writer. I am super excited that I was asked to guest blog today for Classroom Tested Resources! During my first couple of years as a teacher, I always had a class read aloud sitting on my desk. It would take months to actually finish it because I so rarely had time to just sit and read to my third graders. Too many standards and assessments. Too many interruptions and mandates. I am embarrassed to admit that I started to feel like taking a break and reading to my kids was a luxury that I didn't have time for. Thank goodness that I have evolved as an educator! My thinking has done a 360 degree change! A day does not go by in my classroom when I don't take the time to read to my students. It is one of the best parts of our day and something that I am passionate about! 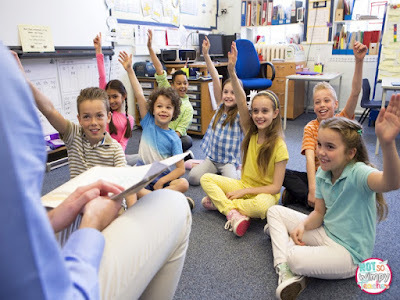 There are numerous reasons that reading to your students is a daily must- even in upper elementary classrooms. Reading aloud gives teachers the opportunity to introduce reluctant readers to new authors, series and genres. I cannot tell you how many times a parent has told me, "My son hates to read." I disagree. He probably doesn't hate to read. He just hasn't found the type of book that he loves YET. So I read a variety of types of books. I read fiction and nonfiction. I read series that I don't notice my students trying yet. I read authors that are new. I introduce them to a type of book and then allow them to read more on their own. It's a powerful way to get kids reading! And since it is so specifically targeted to my kids, it is far more engaging than a textbook. 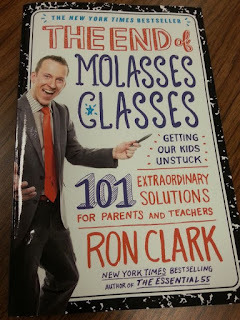 I have several favorite read aloud that I choose to read because they are either part of a large series, the author has written many more books, they are award winners or they have a great central message. 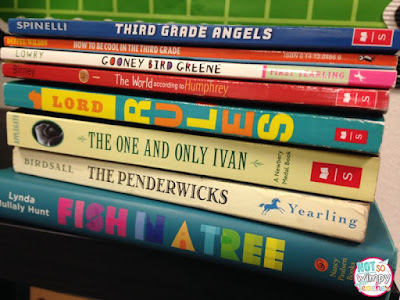 Here is a stack of my very favorite read aloud for my third graders. Since my goal is to encourage my students to read more books in the series or by the author, I make sure to have these books available in our classroom library. When I finish the read aloud, I will auction off the opportunity to be the first person to independently read the next book! Students eat this right up! Any students who wants to read the next book is given a raffle ticket. (You could even give them an opportunity to earn extra tickets!) I do a quick drawing and the person who wins gets two weeks to read the next book. My kids are so excited to read a book that they are competing over the privilege. It melts a teacher's heart! 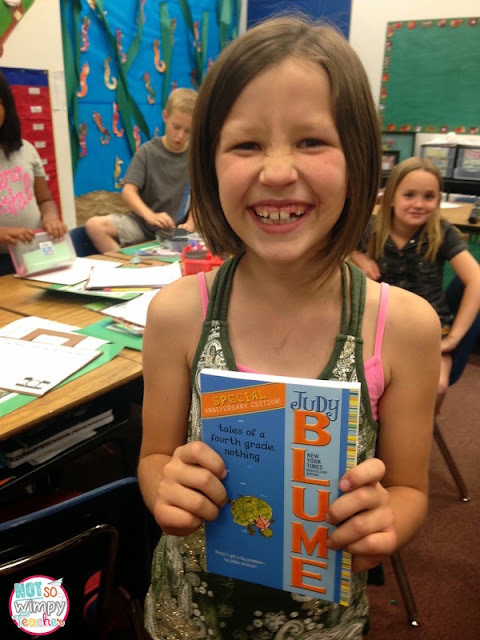 Reading out loud gives students an example of what fluent reading sounds like. Even in the upper grades, students need a model so that they understand when to pause for a breath and how not to sound like a robot. I hate robot reading! When students don't read fluently, they are boring to listen to. They start to lull me to sleep. Therefore, I stand in front of my kids and read like I am auditioning for for a Hollywood drama! I have fun voices for the characters. The kids especially like high pitched voices. And if you really want to grab their attention- jump on top of the desk or table when you read. Kids will be enthralled! (Wouldn't it be cool if the principal jumped on the table during the next staff meeting?!) 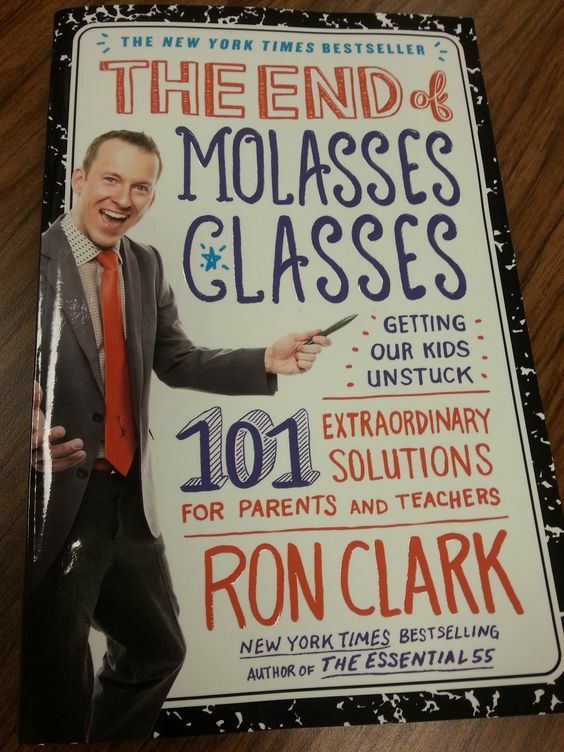 I started doing this after reading Ron Clark's The End of Molasses Classes. Students see that reading fluency makes the story and their reading interesting. They want to go home and read like this to their parents. The parents will thank you for encouraging their child to read but you might get some questions about jumping on the table! Read aloud allow my struggling readers to hear age appropriate stories. Too often the lower readers are bored by the books that are written for kids much younger than they are. My third graders are tired of reading Junie B. and Magic Treehouse. They want to read The One and Only Ivan, but they aren't ready to do the decoding. My lower readers love being able to enjoy a book without having to struggle over each word. Sometimes I even choose a book that is above level. It is a book that most of my kids can't read independently YET. But it introduces them to new vocabulary and gets them excited to be ready for challenging text. After all, students who want to read something, typically find a way to understand it! Don't get me wrong- students need instruction that meets them on their level. In my class we have literature circles during guided reading groups. This is the time where I work real hard with them on text that is appropriate for their independent reading level. You can read more about my literature circles HERE. Stop thinking of it as wasted time! I use my read aloud to model every one of our reading skills and standards during the year. I do my read aloud while my students eat their snack. When I am finished reading, they come to the carpet and we have a quick mini lesson for our weekly skill. Therefore, my guided reading time actually started during the snack break! I am saving time rather than wasting it! I do admit that this is a little tougher when you are working on informational text standards. My kiddos generally prefer to hear fiction read alouds. But I have discovered that they love to learn about animals. So I read a book about the rainforest and one about Jane Goodall. The key is to make sure the book is somewhat short and is age appropriate. Don't bore them or they will always assume that informational text is boring! Ask them what topics interest them. Put a few books out and let students preview them. 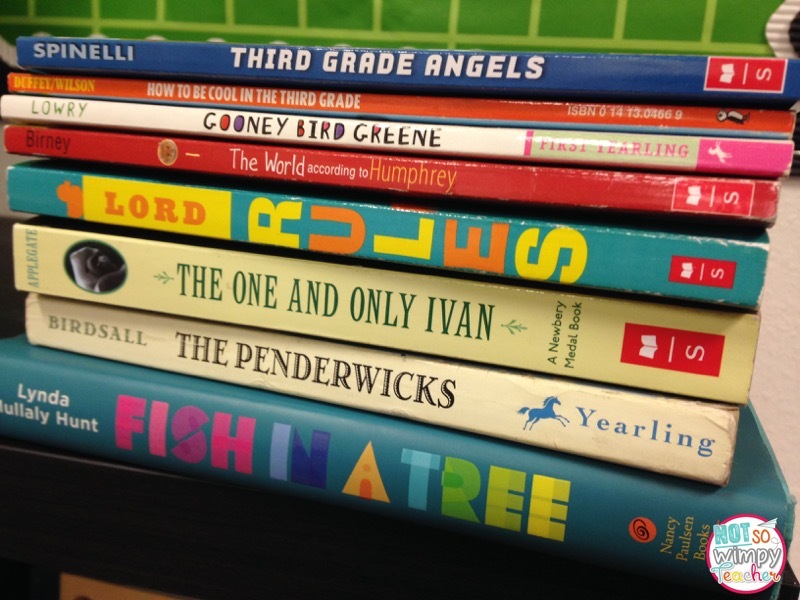 Then vote on which one will be the read aloud. Listening to me read, shows students how much I love books. They can see how excited reading makes me and how much I enjoy the characters and the suspense. When children see adults who love books, they are much more likely to love books themselves. I still have countless standards to teach, assessments to give and data to analyze. But for 15 minutes every day, I set aside the pile and just focus on loving my kids through a book. We laugh together. We are making connections and memories as we travel through books. We deserve every moment of that break. 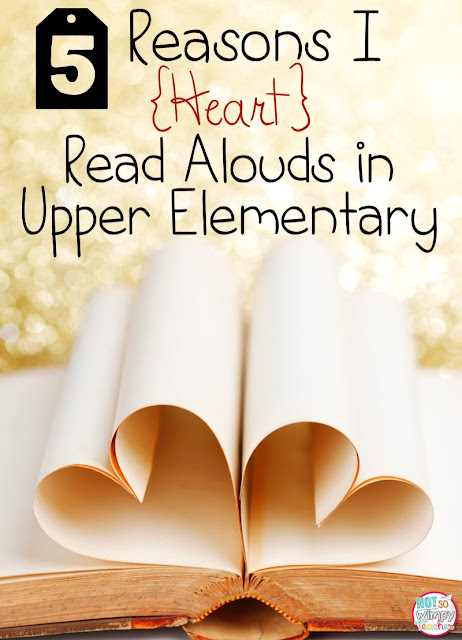 Do you take time to read aloud to your class? Is it an integral part of your classroom day or just a filler if you have time at the end? Are your kids begging for more? Please leave a comment and share your experience so that we can motivate each other to find time to read to our students!